Welcome to Ashore Hotel in Seaside, Oregon. 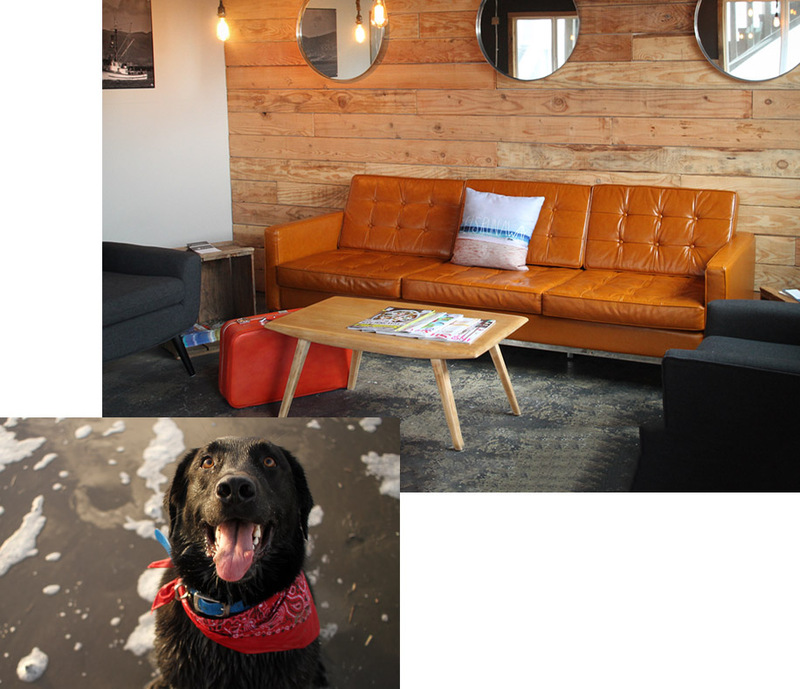 We're eco-friendly, dog-friendly and all around friendly folk. Grab a cup of organic coffee in our lobby, go for a spin on our free bicycles, take a dip in our heated indoor pool and sauna, or kick back in our minimalist rooms. We can't wait to help you have the best vacation on the Oregon coast. Perched at the top of the Oregon coast, and just twenty minutes from Astoria and Cannon Beach, Seaside is thankfully still undiscovered by many. Whether you're a lover of the ocean, Americana, surfing or arcades, Seaside has something for the whole family to get into and enjoy.